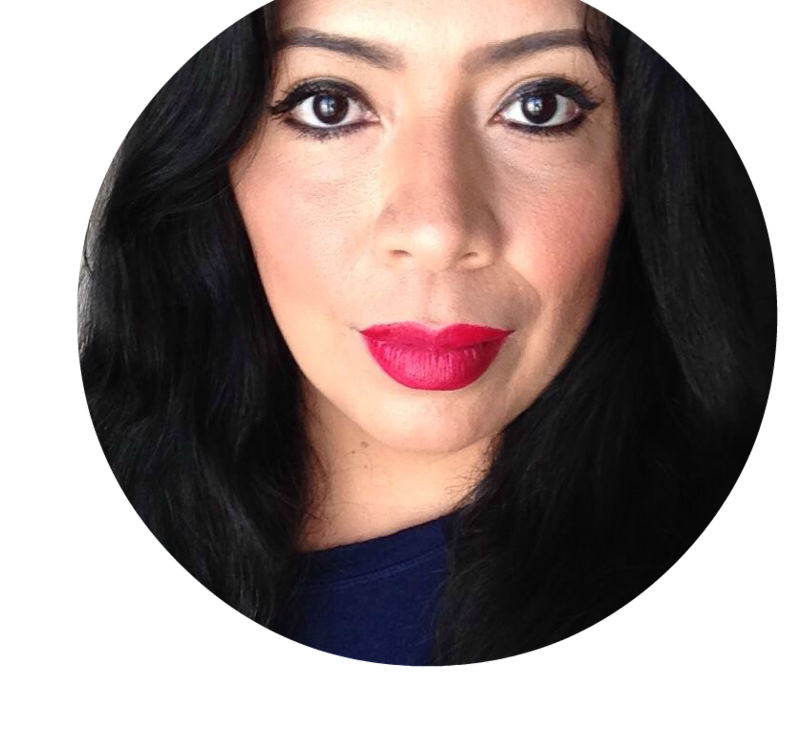 This is a compensated campaign in collaboration with Farmland® and Latina Bloggers Connect. However, all opinions are my own. The big game is now officially just ONE WEEK away! What a fun trip it's been getting here and at my place we are super excited to watch and see which team will end up taking the title. This month I've shared a few recipes for you that are going to be perfect for the big game and today I want to share another super easy appetizer that the family will love. This is a play on one of my favorite tamale flavors which is Tamales de Rajas con Queso, which take over a day to make so instead I make this very easy Suffed Jalapeños con Queso which only take 30 minutes. To make the appetizer even more tasty for the big game, I am wrapping them up in BACON!! Yes, bacon! 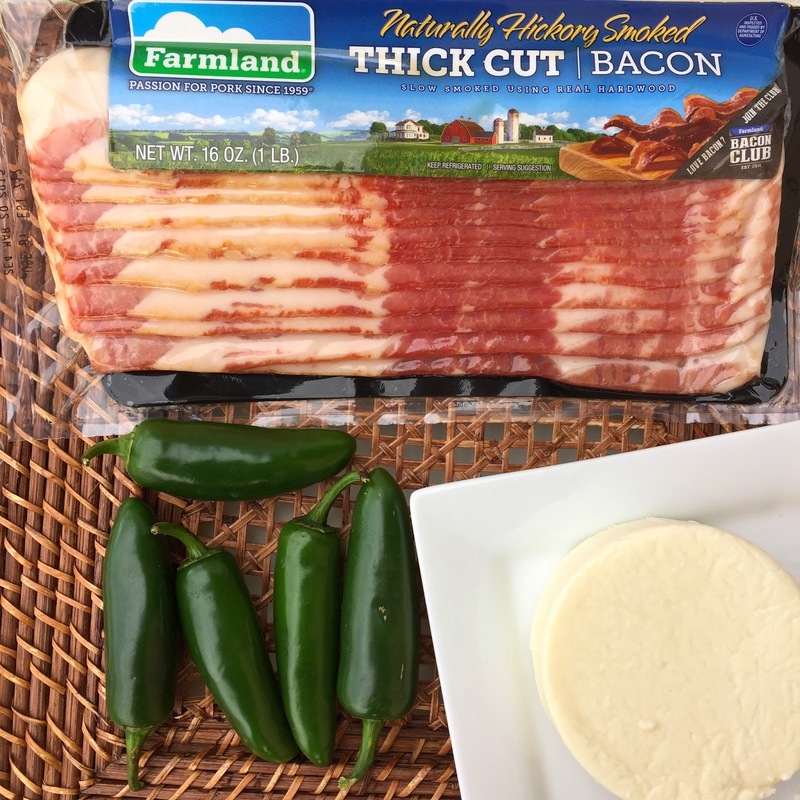 As usual I found the ingredients at my local Walmart and for this recipe I am using Farmland® bacon. Farmland® bacon is slow smoked over real wood for maximum flavor. For decades, Farmland® has taken pride in perfecting their curing and smoking technique – a difference you’ll taste in every delicious bite. For the purpose of this appetizer I got the thick cut bacon so that each jalapeño would be more filling. This recipe is extremely basic and easy, because you know that's what I'm all about. I love recipes that don't require more than a few ingredients and this is one of those that is just so easy, but for sure will be a hit. I mean, who doesn't love bacon? Okay so vamos con la receta. Prep your queso fresco by cutting it up in a bowl and adding a small pinch of pepper. Wash jalapeño peppers and slice down the side to open and clean out all of the seeds and veins. WASH YOUR HANDS before doing anything else! Once your peppers are completely cleaned out fill with queso filling and wrap and entire bacon slice around it. Preheat oven on 375 degrees and place your peppers on a lined tray. Cook for 20-25 minutes or until your bacon and crisp and brown. These stuffed jalapeños are so easy and quick to make, and are the perfect finger food for game day. Fill up a tray with them and you're going to see how easily they disappear. Jalapeños, queso fresco & bacon, how much yummier can it get? Well, I'm definitely looking forward to next Sunday and all the food that we are going to be making and enjoying. I'm going to be buying extra Farmland® bacon to make enough for everyone. What bacon dishes are you going to be serving up on game day?